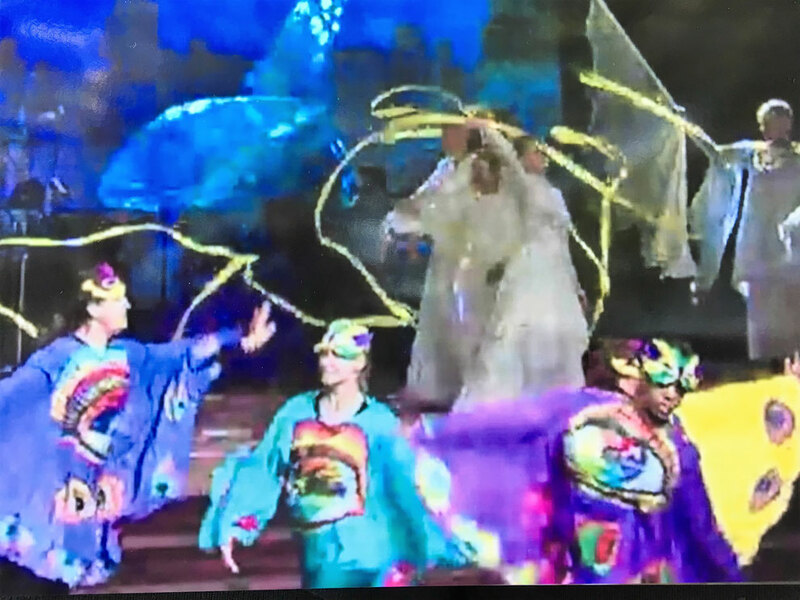 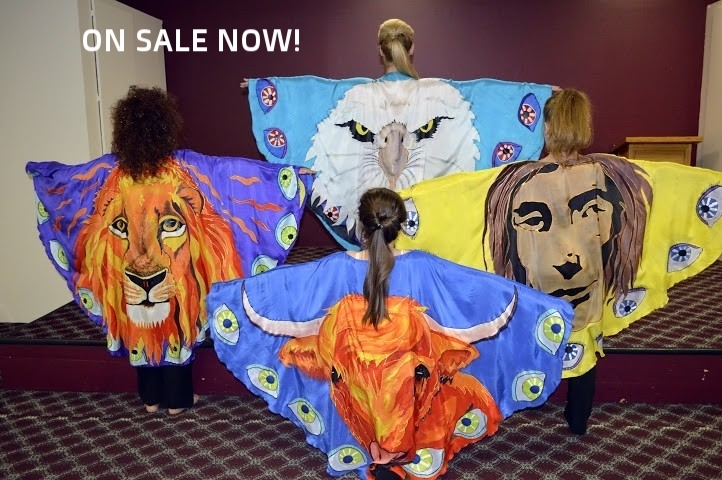 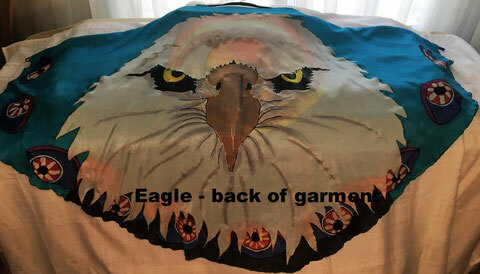 Fabulous Four Living Creatures Garments for Sale - 3 Strand Cord Silks - Glowing Silk Flags & Billows based on the Bible, Jesus and His Church, to enhance your worship of God! 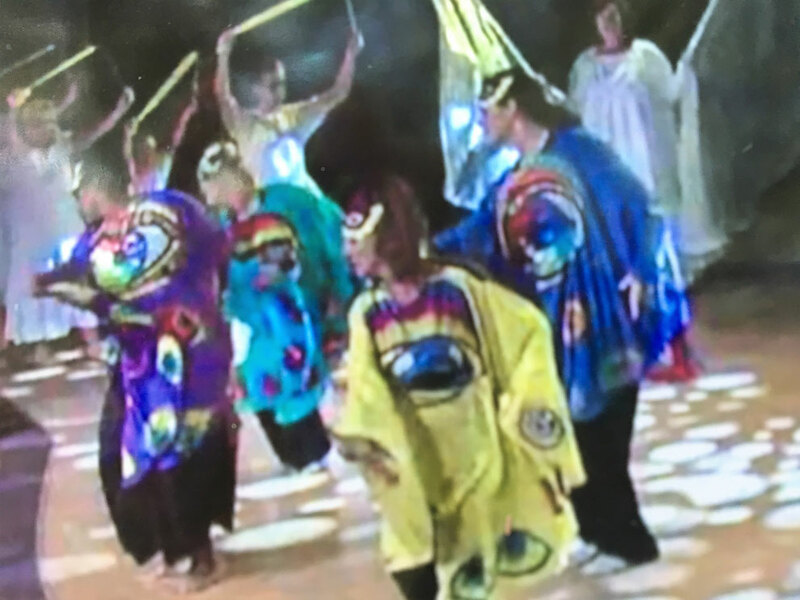 The garments have been worn in worshipful choreography during the Feast of Tabernacles. 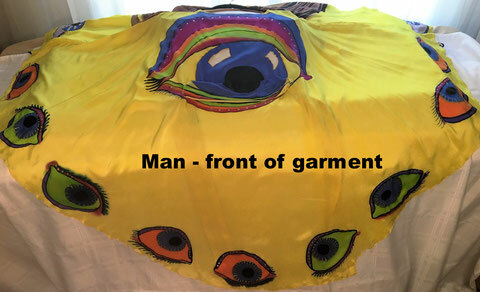 This view shows the back of the garments, with Faces. 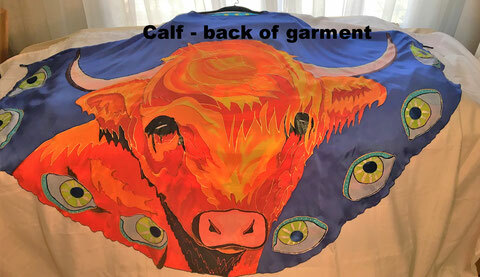 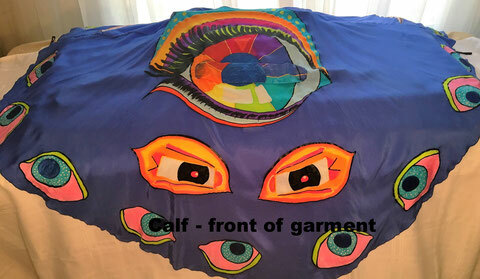 To view the front of the garments (eyes all around) please scroll down. 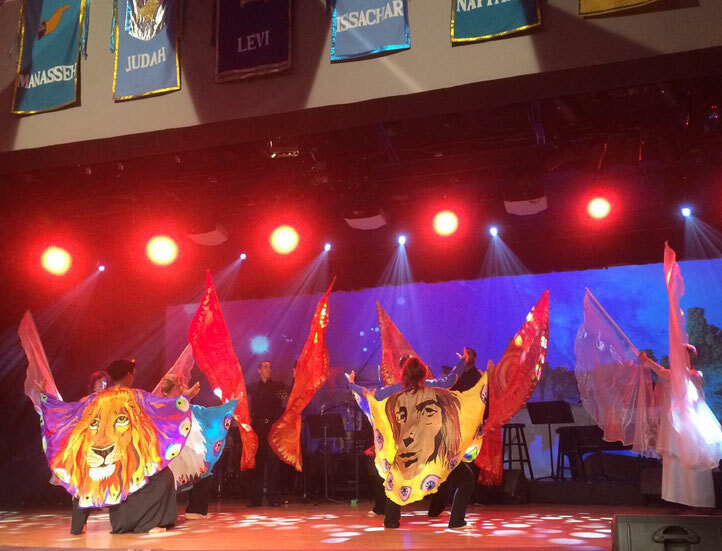 Below is a video taken of a piece I choreographed for the Feast of Tabernacles celebration. 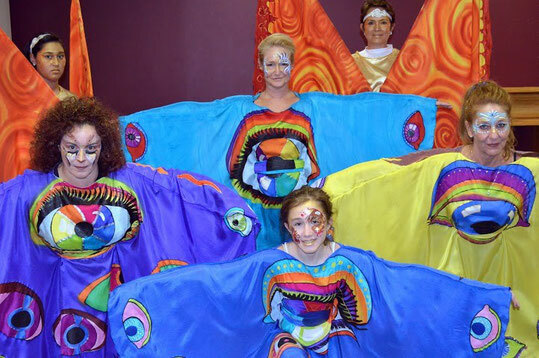 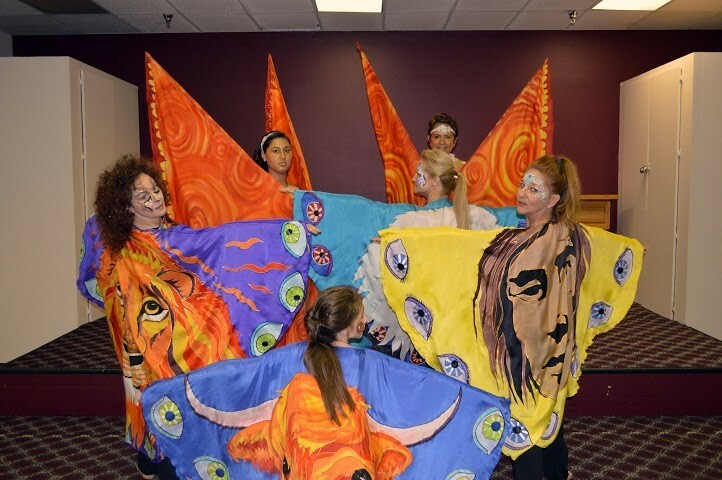 You will see the Four Living Creatures garments in use, along with our Fire Wings and Dance Silks. 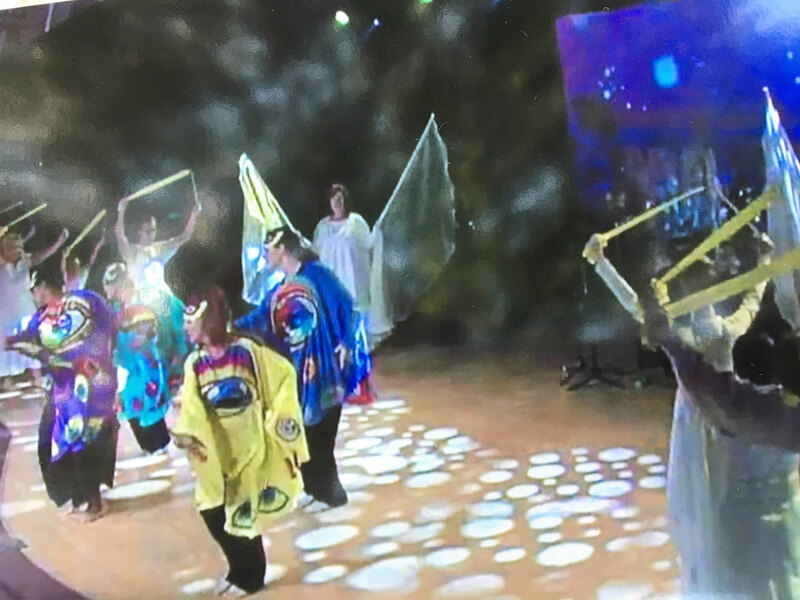 The ending to this piece is very special ... enjoy! 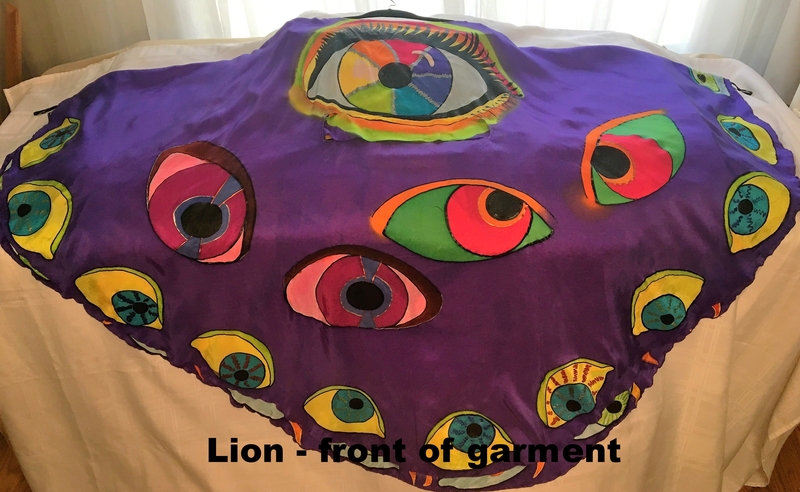 Full of eyes within and all around! 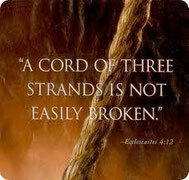 The Four Living Creatures mentioned in the first chapter of Ezekiel and in the fourth chapter of the book of Revelation! 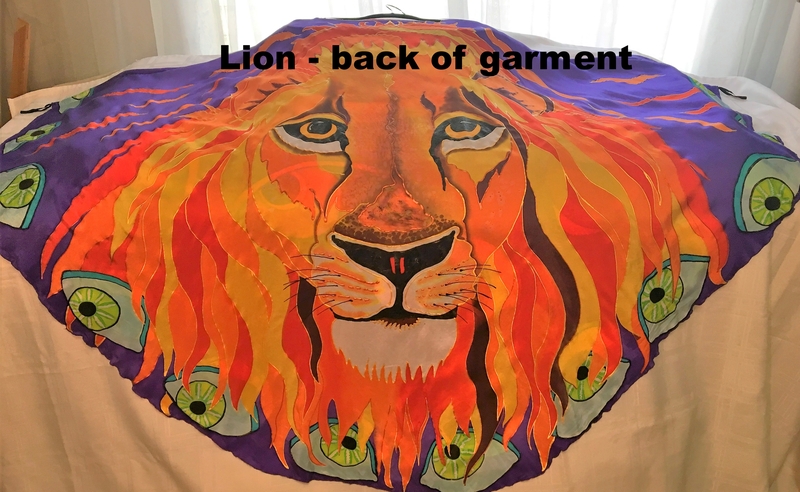 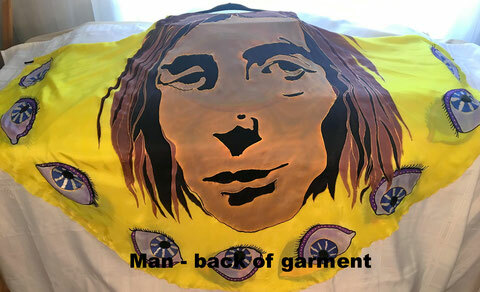 EACH GARMENT IS HAND MADE BY THE ARTIST AND DYED ON SLIGHTLY HEAVIER SILK, GIVING THESE GARMENTS A NICE LAY AND FEEL FOR THE LARGE DESIGNS ON THEM. 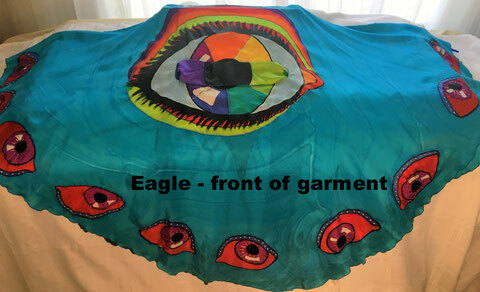 EACH "BEAST" HAS IT'S OWN INDIVIDUALIZED SASH AND FINGER RIBBONS TO KEEP THE "WINGS" EXTENDED ON THE ARMS OF THE WEARER.